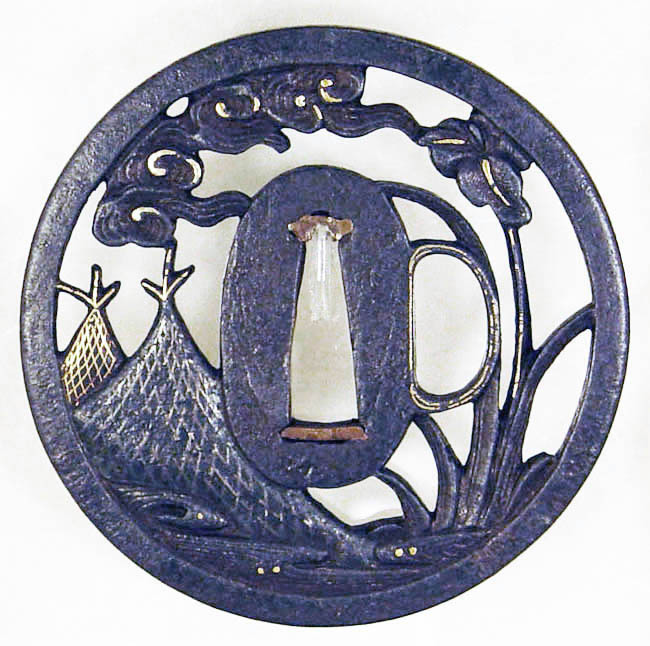 An excellent round sukashi iron tsuba, the style being rich in its decorative quality. The design of fishing nets under flowers and clouds is naive yet very tasteful. 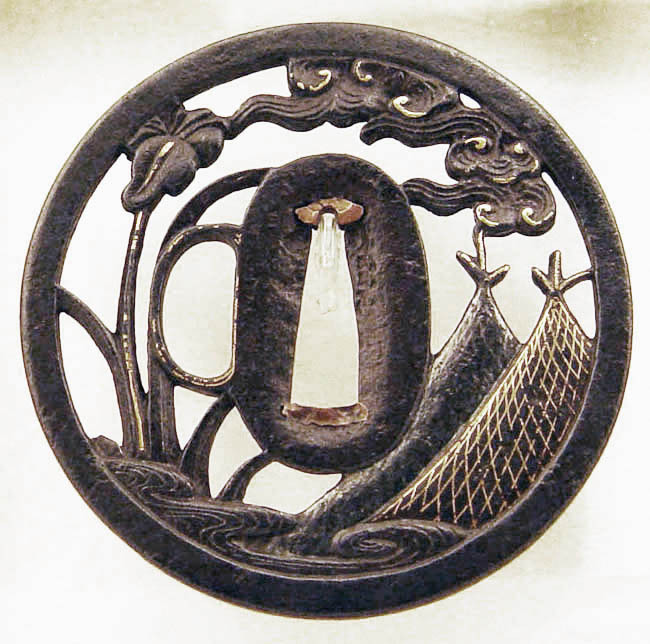 The subject of this tsuba is applicable to the countryside, having a strong and bold quality. They are decorated with gold nunome inlay. 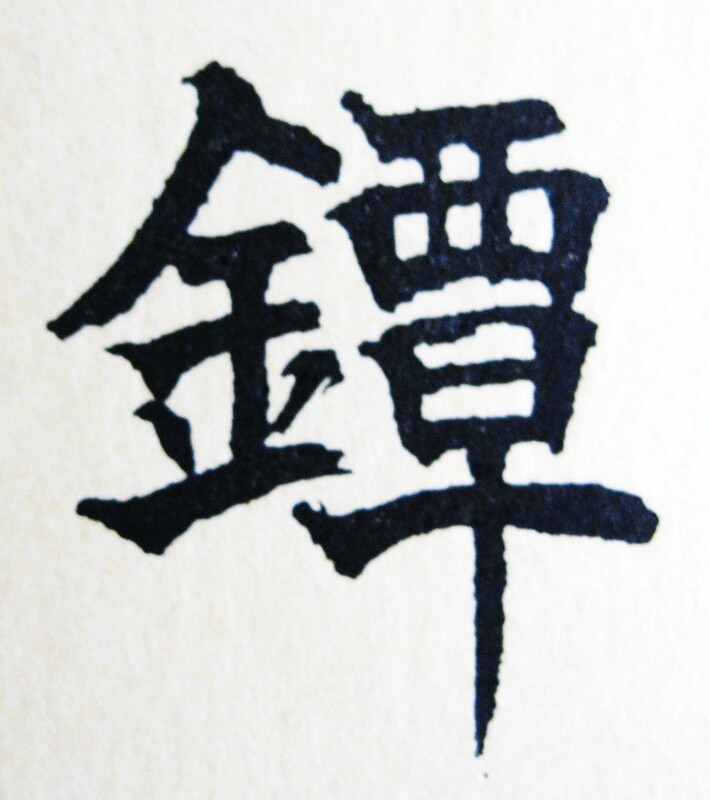 Early Edo period. in 1964 on the 7th month, 17th day.